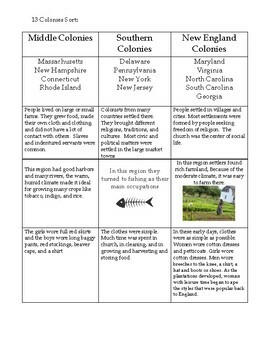 This activity can be used to help students identify what made each colonial region unique. Students should be given the first page to cut apart the cards. Once the cards are cut apart they can be sorted and glued onto a separate sheet of paper. 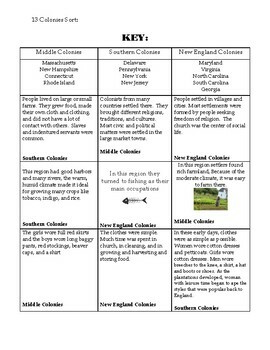 The answer key for this activity is on the second page of this resource.